Talent: Vocal "I Wanna be a Rockette"
Interesting Facts: Underwent orthopedic fusion sugery from spondylolithesis; Learned a second artistic expression with my Grandmother; Was published in Ceremony Magazine; Performed with Mia Turner; Own a toy Australian Shepherd named Oona. 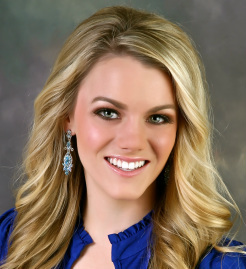 Leadership Roles: Family Violence Prevention Annual Vigil Volunteer/participant, Senior Project Mentor, Rock & Stroll 6k Annual Volunteer/participant, Producer of Miss Napa County and Solano 2011, 2012 and 2014. Leadership Roles: Education and Equity Chair of Marin County Youth Commission (2012-2013); Co-Chair of Marin County Youth Commission (2013-2014); Junior Class Secretary; News Editor of Marin Catholic's Newspaper.